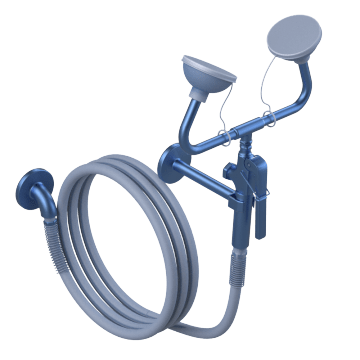 Use these combination drench hoses and eye washes as a standard eye wash station, or remove the hose from its holder to use it as a drench hose for washing chemicals or other contaminants from the skin. The hose can be brought to individuals who are unable to move to the water source. 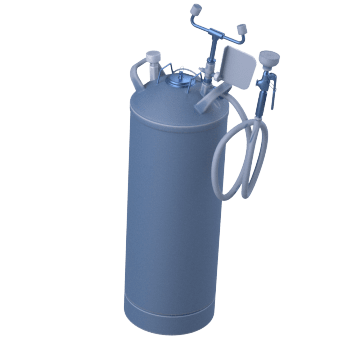 Mount these combination drench hose and eye wash stations to a counter and connect them to your facility's undercounter water lines to create an emergency wash station. Create a emergency wash station without monopolizing counter or floor space. 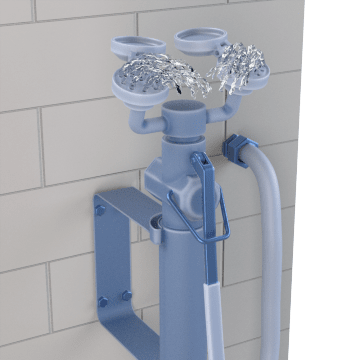 These combination drench hose and eye wash stations mount to a wall and connect to your facility's in-wall water lines. 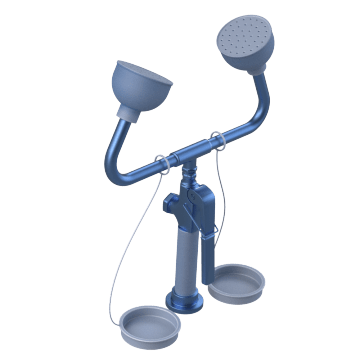 Take these pressurized portable drench hose and eye wash stations with you if you're working in an area that does not have access to water.